Don't tell Mom the batteries are dead! Hello there, everyone! It's Friday once again, which means we have brand new products to show you today. Last week we had the new Raspberry Pi powered laptop, the pi-top. This week we are here to bring you some new original boards and announce the official release of a long-awaited kit. Without further ado, let's dive on in and see what we have! Thanks for giving us a better look into the life of an American babysitter, Shawn! 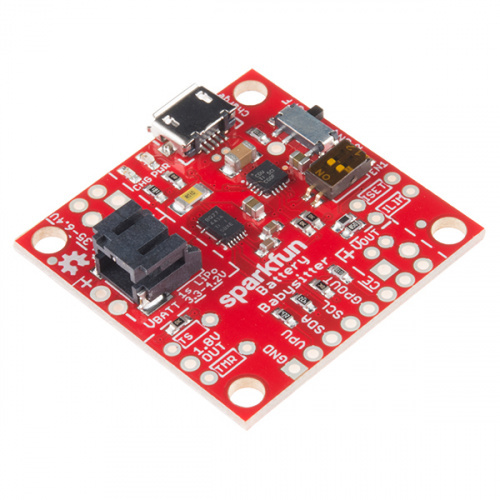 The SparkFun Battery Babysitter is an all-in-one single-cell Lithium Polymer (LiPo) battery manager. It’s half battery charger, half battery monitor, and all you’ll ever need to keep your battery-powered project running safely and extensively. Get Started With the Battery Babysitter Guide! 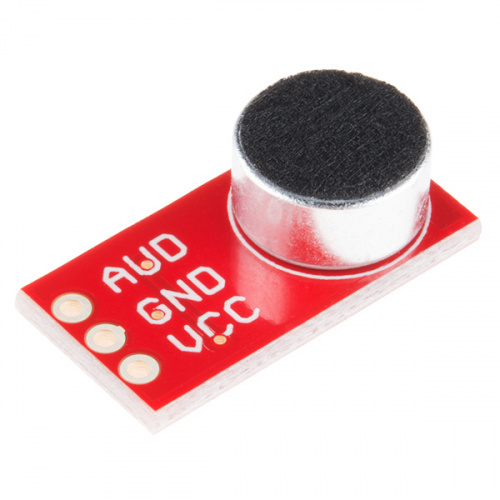 This small breakout board couples an Electret microphone (100Hz--10kHz) with a 60x mic preamplifier to amplify the sounds of voice, claps, door knocks or any sounds loud enough to be picked up by a microcontroller’s analog-to-digital converter. Each breakout comes fully assembled and works from 2.7V up to 5.5V. Get Started With the Electret Microphone Guide! We finally got our books in, and the Web of Things (WoT) Kit is now available for purchase! 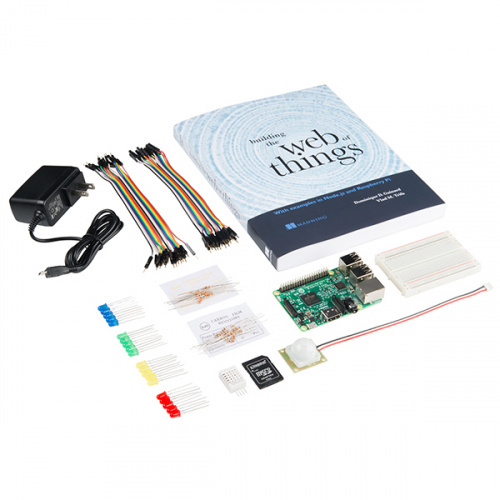 The WoT Kit is a comprehensive, hands-on kit that teaches about the intersection of the Internet of Things (IoT) and modern web technologies. This kit utilizes the Raspberry Pi 3 model as its medium to teach with a 16GB SD card and USB cable, a prototyping board with jumper wires, and all the various sensors (motion, humidity, temperature) and LEDs. In a few hours, you'll learn how to use Node.js to build a flexible REST API that allows anyone in the world to interact with your Pi in real time! That's all for today, folks. We'll be back next week with even more new products. See you then! Isn't 3V really low for a lipo? I've always heard that they should never be discharged below 3.5v. I'm guessing that you will be throwing out that battery soon. Done. I also added notes to differentiate the BQ27441-G1 link from the BQ24075, as well. New Product Friday: Holy Mackerel!